Sometimes idioms can have two completely different meanings. This is what keeps English so interesting! The expression “on the rocks” can have a negative meaning about a romantic relationship, but it can also refer to how you would like your cocktail served! Leila: Hey, Sarah, how’s it going? Sarah: Oh, pretty good, I guess. Leila: What!!! You are a newlywed; you should be feeling better than that! What’s up? Sarah: Well, to be perfectly honest, I am not that happy. Leila: What do you mean? Aren’t you happy in your marriage? Sarah: Well, at first I thought so, but now I think that my husband Ryan has been seeing his ex-girlfriend Mary! Leila: Oh no! You have only been married for three months. I am so sorry! Sarah: Yeah, I really think my marriage is on the rocks. We seem to argue about everything, especially about his relationship with Mary. I’m not sure what I am going to do. Leila: You poor thing. I think you might need to think about marriage counseling. Sarah: Yeah, I’ve already thought about it. I’ll keep you posted as to what I’ll do. Leila: In the meantime, don’t hesitate to let me know if you need anything. I feel really bad because I introduced the two of you! Sarah: Oh, Leila! I don’t blame you. Sometimes marriages work out, and sometimes they don’t. I’ll call you in a few days and let you know what’s going on. Leila: Okay, Sarah. Talk to you soon. Meaning: When someone says that a romantic relationship is “on the rocks,” it means that things are not working out. It means that the relationship is in danger of ending. Imagine a ship that is sailing the ocean and nearing an island. Somehow it comes too close to a reef or to some rocks, and the ship breaks apart. When a relationship is “on the rocks,” it is in a bad way. It may or may not be able to be repaired. 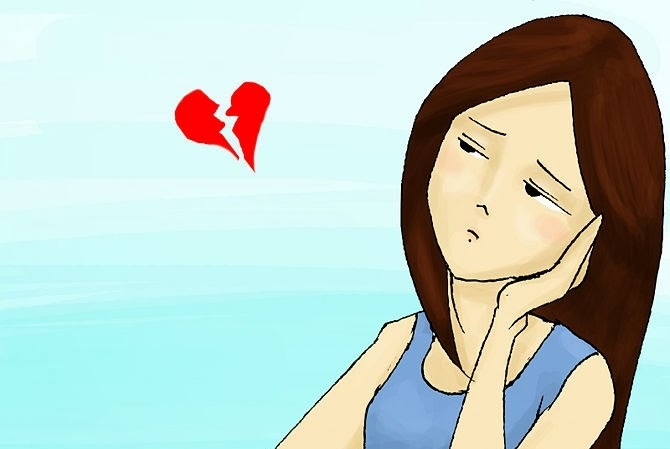 It is an idiom that can be used to symbolize that a love relationship is failing. Leila: Hey, Sarah! I’m so glad you could meet me for a drink today. I haven’t seen you in ages! Sarah: I’m happy to see you, too. Between marriage counseling and date nights with my husband, I have been pretty busy. It’s like we are falling in love all over again! Leila: Oh, Sarah, I am so happy for you! I’m glad that you are trying to make your marriage work! Sarah: Me, too. And I feel kind of silly. Remember what I told you about thinking that Ryan was seeing his old girlfriend? Leila: Yeah, you were suspicious. Was it true? Sarah: No, not at all. He was emailing her and calling her because he wanted to make arrangements to get back his old coin collection. He had put it into storage in her mother’s garage because he had been moving around so much. Leila: A coin collection! Wow, I didn’t know that anyone even collected coins anymore! Sarah: Yeah, Ryan does. He says it’s worth a few thousand dollars. He wanted to sell some of it so that he could take us on a cruise for Valentine’s Day! Leila: No way! That is so romantic! Sarah: Yeah, he’s taking us on a cruise to Mexico, with stops in San Diego and Catalina Island! Leila: Sarah, I am so glad that your marriage is not in trouble. I was so worried about you. Sarah: Me, too, but I feel much better now. Leila: Well this calls for a celebration! Let’s have that drink. Bartender, I’ll take a shot of vodka, please! Bartender: And for you, Miss? Sarah: Make that vodka for me, too, but I’ll take mine on the rocks! Meaning: In this situation, “on the rocks” has absolutely nothing to do with love or romantic relationships! In this situation, it describes how you would like your cocktail prepared. You can ask a bartender to make your drink “neat” or “straight,” which means a pour of liquor into a glass with nothing else. You can ask the bartender to make a cocktail, such as a martini; to be made “shaken” or “stirred”. Remember the 007 James Bond movies? James always asked for his martinis “shaken, not stirred.” A cocktail can be shaken in a shaker and then strained into a glass, leaving the ice behind in the shaker and not put into the glass. A stirred drink is poured in layers into the glass on top of the ice (such as vodka, soda water and cranberry juice) and then stirred by the bartender. Finally, a drink that is “on the rocks” can be a mixed drink or a straight pour of only one liquor that is poured directly on top of the ice and served that way. It is typically not stirred by the bartender. 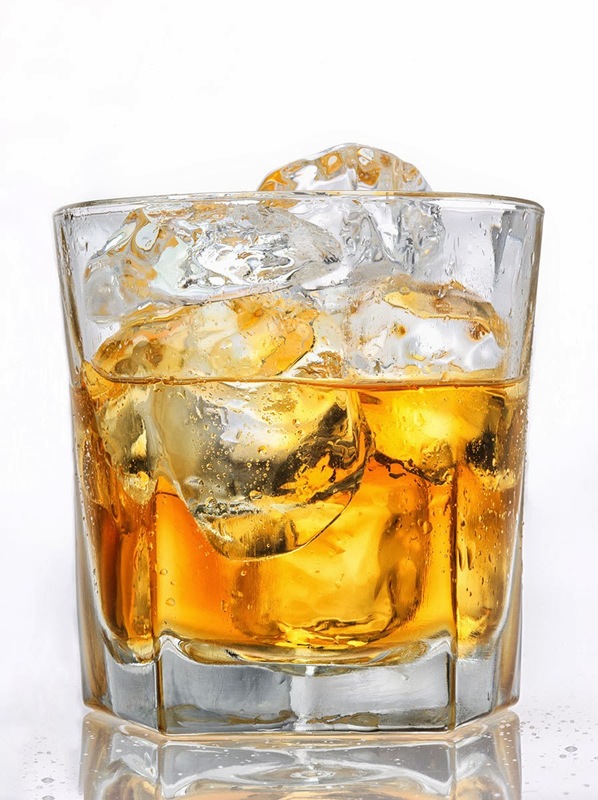 If you ask for a drink that is “on the rocks”, it means that you want it served on ice. Think of it this way, in this idiom, the ice cubes are shaped like rocks. The ice cubes are the “rocks”. This is what the expression comes from.